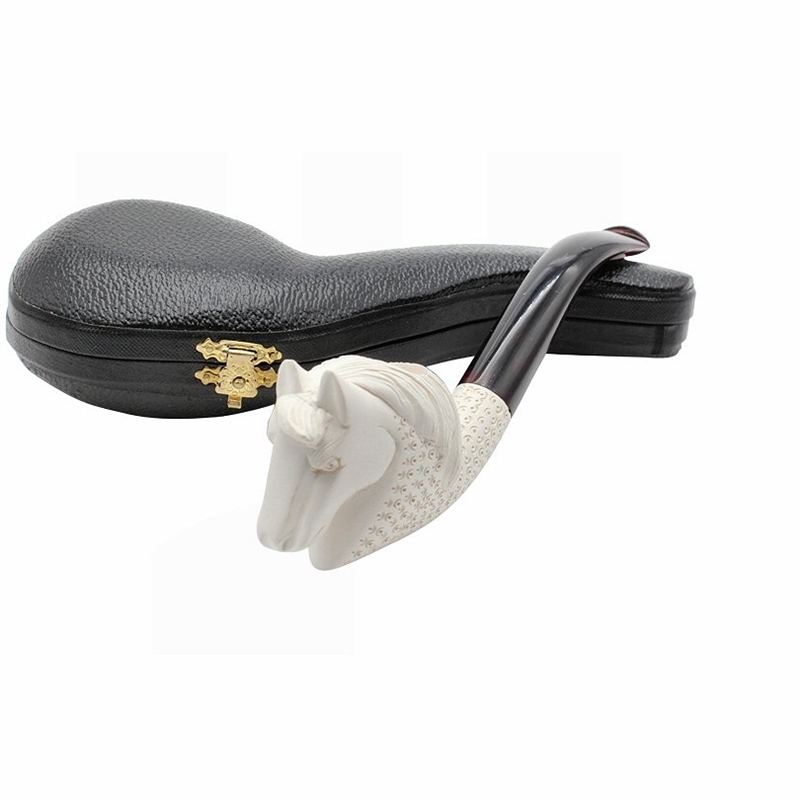 Hand Carved Horse Meerschaum Pipe - The carved mane of the horse flows into a delicate lattice carving on the sides and shank of the pipe. The look is complete with a contrasting dark stem. 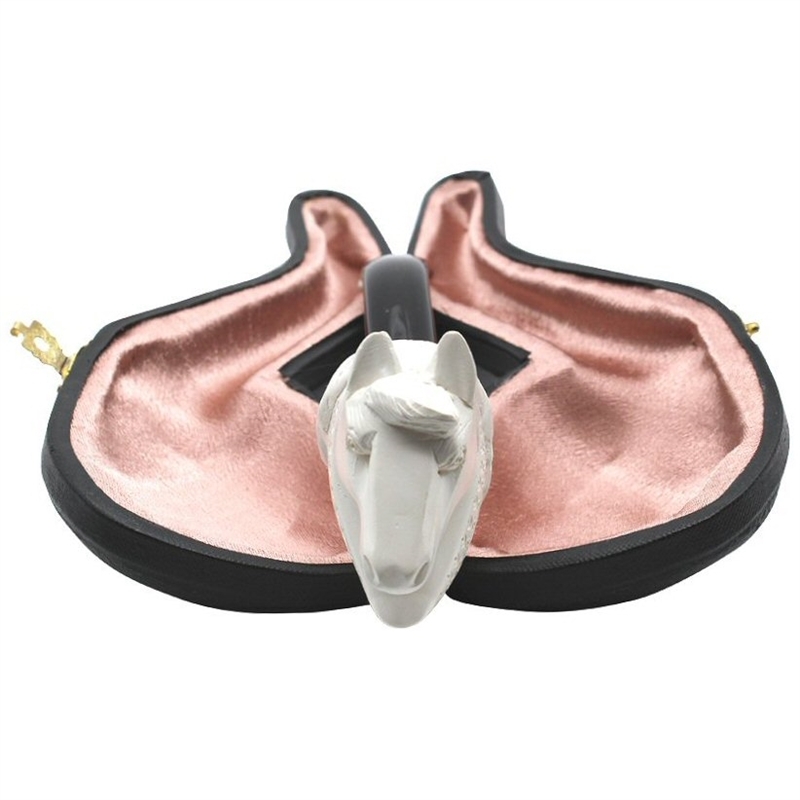 Perfect collectible pipe for the equine lover.